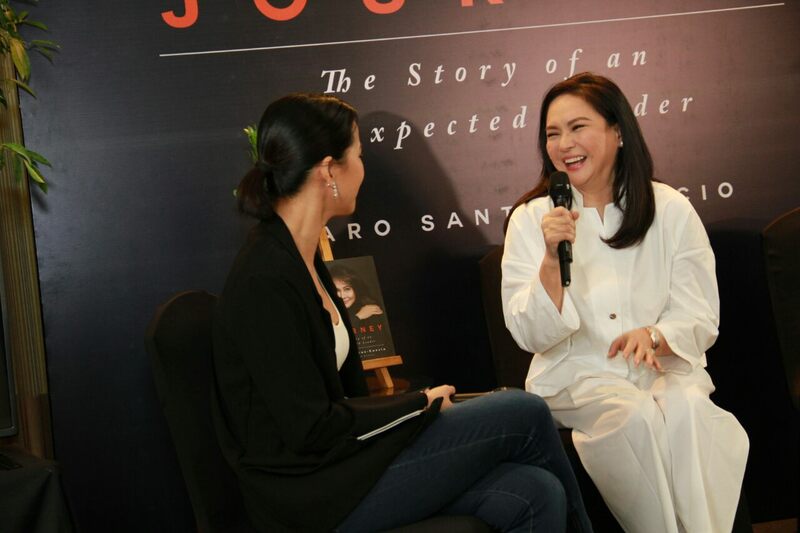 Using her personal journey as guileless country lass to beauty queen, from award-winning actress to one of the most powerful women in Philippine media, Santos-Concio merges memoir with leadership advice. How does she do this? By relating, with endearing honesty, the stories throughout her life that called for a certain self-awareness, made her realize her failings, and imbued her with a sense of purpose. “My Journey: The Story of an Unexpected Leader” spans Santos-Concio’s childhood up to her retirement as ABS-CBN’s first woman president. 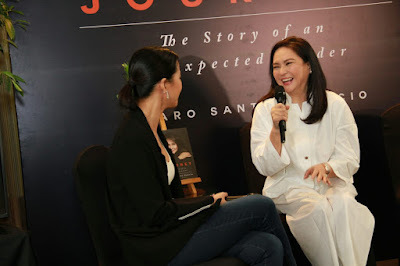 Readers are given a peek into her years as a sheltered doctor’s daughter on the island of Calapan, Mindoro, where her father first taught her how to stand up to thugs; her first brush with high society, wearing a dress painstakingly assembled by her mother; the compromises she had to make—and break—when she entered showbiz, and more personal experiences which gave her invaluable lessons in strength and grace. Television and movie fans of all kinds—be they curious about the stars, behind-the-scenes production, or business side—will find a treasure trove of information in “My Journey: The Story of an Unexpected Leader.” As one of the few individuals who successfully made the transition from movie actress to producer to television executive (and made the loop to movie actress again), Santos-Concio provides industry anecdotes that are both entertaining and honest. Part biography, part self-help, this book is unique in its take on leadership. Santos-Concio treats the subject with a nurturing tone—a far cry from the aggressive stance that many believe is the defining quality of leadership. Santos-Concio isn’t afraid to admit her fears and foibles, and reassures the reader that there is power during times of uncertainty and self-doubt. While it is a treat to be given a firsthand look at the ins and outs of the lives of celebrities, equal value should be given to the lessons learned during their most vulnerable times. Santos-Concio goes the extra mile in sharing these moments with the reader, and turns them into tips that the reader can apply to his or her own life. No matter who you are or where you come from, you all have our own story. It’s important that you tell and own your story because that’s how you find your sense of purpose. Take your chance. Every leadership journey begins with fear, which you are invited to match with simple curiosity. If courage is hard to find, then just take a small first step. A clear sense of purpose is what draws out the leader within you, and your heart is the best tool to find out what your true purpose and passion is. Leaders must be lifetime learners. The ability to see possibilities where others only see difficulties is a very powerful leadership skill. It is this ability that separates the visionaries from mere followers. It takes a high degree of self-mastery not to give in to your anxiety when everyone else around us offers only doubts. When you find yourself suddenly restless and beginning to look for something more meaningful, it could be that life is preparing a new path for you. Keep your eyes and ears open for possibilities that may change the course of your life. My Journey: The Story of an Unexpected Leader is available at selected National Bookstore and Powerbooks outlets for P550.